MARIGNANE, France --- Airbus Helicopters delivered 356 rotorcraft and logged gross orders for 413 helicopters (net: 381) in 2018 (up from 350 gross orders in 2017), maintaining its lead in the civil & parapublic market while reinforcing its position in the military market thanks to key successes with international campaigns. In 2018, Airbus Helicopters delivered the first of 100 H135s for China in Qingdao, where a dedicated final assembly line will serve the growing demand of the Chinese market for civil & parapublic helicopters. Meanwhile, Hong Kong Government Flying Service took delivery of the first H175s in public service configuration. 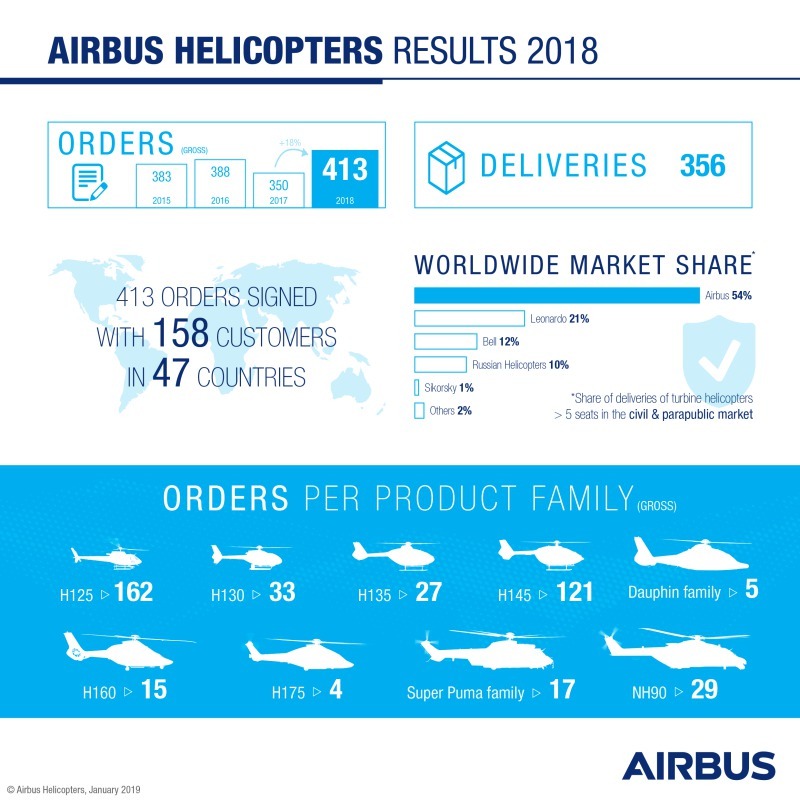 (EDITOR’S NOTE: Significantly, a high proportion of orders booked in 2018 is for heavier models like the H225 family (17 units) and NH90 (51 units), which generate much higher profit margins.